Wake-up Call: Global Oceans in Big Trouble! In an attempt to turn up the “panic button”, WWF (World Wide Fund for Nature) recently published a report on the health of our oceans. The overall verdict? Our expanding population (7.3 billion and growing) has collectively mismanaged its most important resource: the ocean. In other words, we are in trouble. According to this report, marine life is experiencing a catastrophic decline. Total marine populations (including mammals, birds, reptiles, amphibians and fish) dropped 52% in the last 40 years (Fig. 1A). The situation looks worse if we zoom in on specific populations. Around one in four species of sharks, rays and skates is now threatened with extinction, due primarily to overfishing and inhumane shark finning practices. Sharks and their relatives have slow reproduction rates, so populations cannot keep up. The outlook for economically important fish is even bleaker. Scombridae, the family of mackerels, tunas and bonitos declined by 74% over the last 40 years (Fig. 1B). New technology and unsustainable fishing practices coupled with the needs of a growing population are driving commercial fish towards extinction. 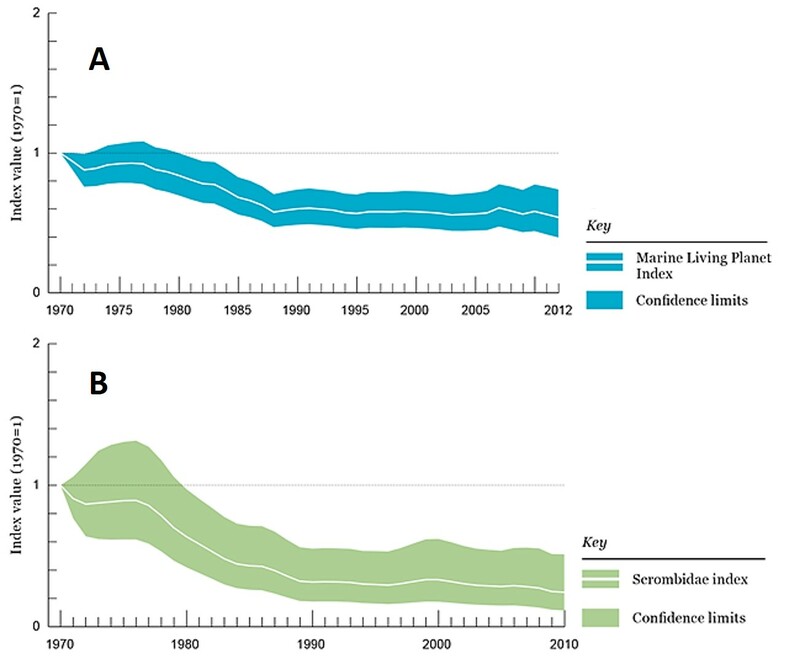 Figure 1: (A) Global index values for marine populations and (B) the Scombridae family of fishes (including mackerels, tunas and bonitos) over the last 40 years. Both show a significant decline in index value over time. Up to this point, the outlook for our global oceans has been pretty grim. Well…it gets worse. Human exploitation is the number one reason we are losing marine species, but habitat degradation is a major threat as well. Three key marine ecosystems are failing: seagrass, coral reefs and mangroves. Coral reefs are so important they could easily get their own crisis report. Coral reefs only cover around 0.1% of the ocean (about half the area of France), yet over 25% of all marine species live here. Reefs support economically important fish, provide food for millions of people, protect coastlines from erosion and supply jobs for tourism and recreation. Nearly 75% of the world’s coral reefs are threatened and over the last 30 years, tropical reefs have lost over half their reef-building corals. If the current rate of change holds up, coral reefs may disappear by the year 2050. Seagrasses and mangroves are dynamic environments that provide habitat for many animals, act as nurseries for juveniles and help protect coastlines. Worldwide seagrass coverage has declined by 30% over the last century. Mangroves lost 25% of their worldwide coverage in just 25 years, equal to a loss of 3.6 million hectares (Fig. 2). Are you starting to grasp just how severe this issue has become? 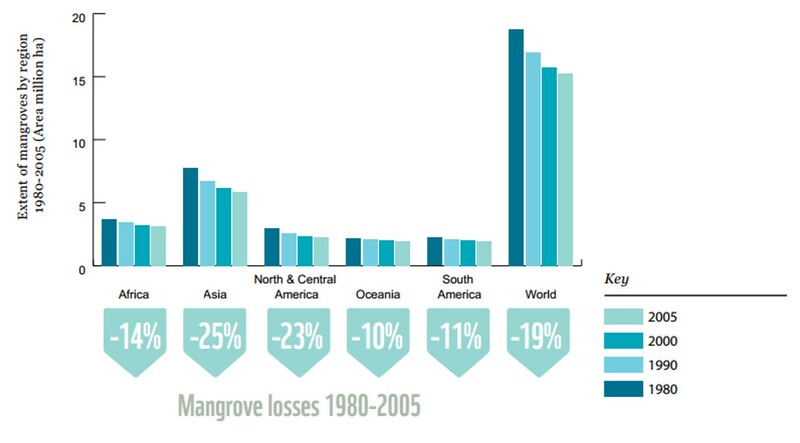 Figure 2: Estimated loss in mangrove cover by region and worldwide from 1980 -2005. How can these changes be happening so fast (last 30-40 years)? The answer: the impacts on coral reefs and many other ecosystems are compounding. Think of it this way: say you stub your toe on a desk – though unpleasant, this is not going to ruin your day. Now, say you catch a bad virus from your buddy, break your foot in three places and get dumped by your partner all in one day – this sounds much worse, right? By itself, ocean pollution may not destroy entire coral reef systems. However, loss of reefs can be amplified by a combination of factors such as coastal runoff, ship traffic and rising ocean temperatures and acidity. Together, these types of stressors can tip the balance of survival for many marine species and the habitats on which they depend. For centuries, people thought of the ocean as an inexhaustible source of food and a convenient dumping ground for human waste – too big to ever be affected. The data does not lie, the ocean has limits and we are breaching them at an incredible rate. Why should we care and what can we do? 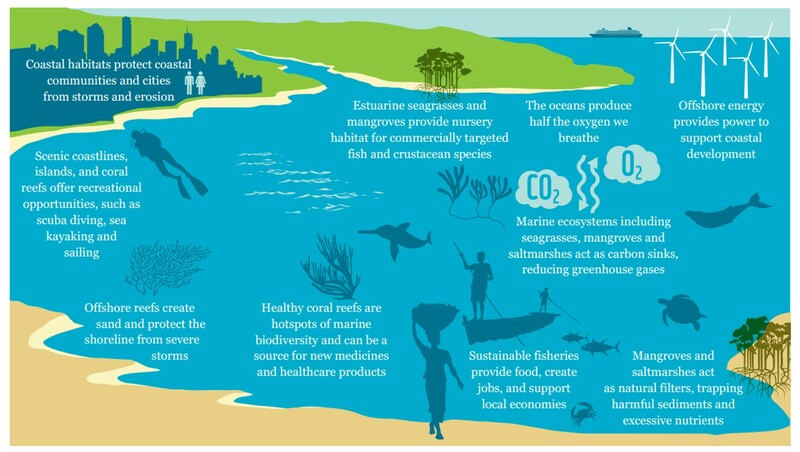 The ocean is fundamental to life on Earth, supporting economies and feeding billions of people worldwide (Fig. 3). Here are the facts: 60% of the global population live within 100 km of the ocean and 3 billion people depend on fish as their primary source of animal protein. Beyond its importance as a food resource, the ocean serves as an enormous means of recreation and tourism, generating economic benefits worth at least $2.5 trillion per year. Still don’t feel the need to protect this resource? Figure 3: Some of the benefits that can be derived from the ocean. The ocean also works hard in the background to indirectly keep us alive. It regulates our global climate and weather, generates half the world’s oxygen and absorbs 1/3 of the harmful CO2 emissions that we pump into the atmosphere through burning of fossil fuels. Coastal habitats (i.e. mangroves and reefs) protect coastal communities and cities from storms and erosion, while also filtering nasty pollutants that drain off the land. These reasons should be enough to grab your attention and get you motivated. The picture of our oceans as reported by WWF is quite dark. However, they do present ways that governments, industries and societies can help (Fig. 4). We need to preserve and expand marine protected areas, which have been shown to be very effective in re-growing certain marine populations. Governments need to support ocean change and invest funds to restore habitats, reform fisheries, reduce pollution and build resilience to climate change. Sustainability needs to be in our daily vocab. We cannot continue to overfish, allow for deadly bycatch and destroy beautiful coastal habitats. 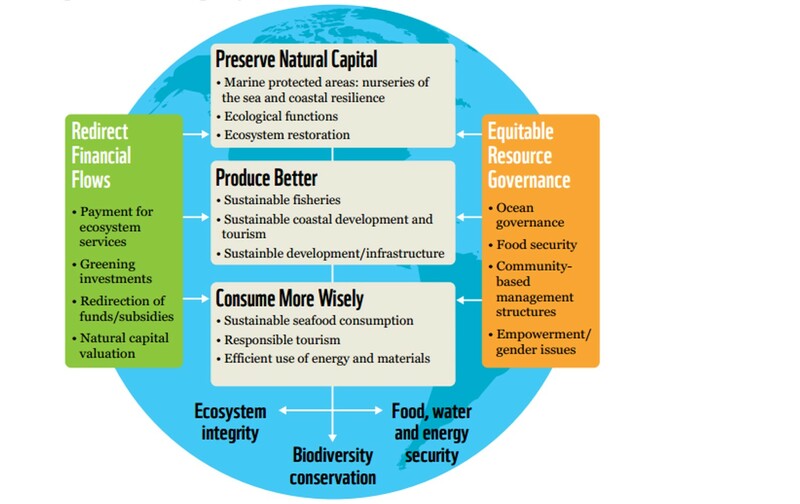 Figure 4: WWF’s proposed framework for making better choices for the marine environment. There are simple changes everyone can make right now! As individual consumers, we can drive the fishing market and practices. By choosing to buy sustainable seafood (see this website and download the app to see what is sustainable in your area!) we can help make a difference. By recycling, we can reduce the amount of ocean pollution. Finally, we can make a difference just by talking about these issues and spreading awareness. Talk or write to your senators or local government officials and express your support for sustainable practices. If we do not reverse current trends and change our ways, the state of the ocean will continue to deteriorate. The well-being of billions of people, the success of global and local economies, and the outlook for future generations will depend on what we do next. The full report is a MUST read and is available for free, just click on the link at the top of the page. I am a first year MS candidate at the University of Rhode Island, Graduate School of Oceanography. I am interested in plankton ecology and the dynamics within plankton food webs. My research interests include the behavioral and physiological responses of phytoplankton and heterotrophic predators. Well written. I think people, in general, tend to think that the little bit they do will not influence anything, positively or negatively. Maybe not, but billions of “little bits” does. Change and awareness can only happen one person at a time. Thank you for bringing this subject up.